Please join us in tomorrow’s Conference Call so that we can discuss our first annual Body Odor and Halitosis 2010 Meetup. We need to discuss what catering services we would like to look for to best serve our needs as well as the topics of conversations we would like to bring up so as to research them in advance. As I have diligently been work toward getting the best deal with hotel accommodations in Nashville, and I believe that we have come to a very good agreement with the Embassy Suites Nashville-Airport hotel. See that previous video post I’ve done on these accommodations. Since there is a basketball game that has filled up all the lower rates for the weekend of March 13th & 14th, we’ve had to change our meetup date to the weekend of March 20th and 21st. Here’s a brief outline description of what has been agreed upon. The Sales Manager of this Hilton Hotel is currently in the process of putting this information in their Reservations System so that we can call to book our suite. 1. 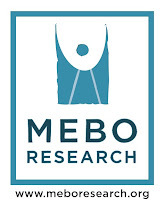 A corporate rate that can be booked under MeBO Research of $99.00/night for a 2 room suite (a parlor, room, wet bar, bathroom, and much more) that could accommodate up to 4 people in a king size bed and sofa bed, and up to 6 people in 2 double beds and sofa bed). 2. Daily full breakfast per person, and daily 2-hour Manager’s Reception in the evenings with alcoholic and non-alcoholic beverages and snacks. 3. Can guarantee reservations (once booking process is finalized) with credit card, but will not be charged until check-out, and can cancel reservations up to 6:00p.m., on the day of arrival without a cancellation fee. which has a conference table and living room area for only $55 more a day, so we can collect $10/day per person to cover this expense as well as the lunch catering expenses. (subject to change – to be discussed on the conference call) If the group becomes too large, we might have to opt for a conference room for $150/day. We’ll see. 5. 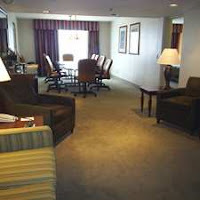 See all the amenities noted in the Embassy Suites Nashville-Airport website. Additional information will be posted in the blog and forums as soon as the reservation process is set up – probably by Monday or Tuesday the latest. We have much to discuss, so I hope to talk to everyone on tomorrow’s conference call.